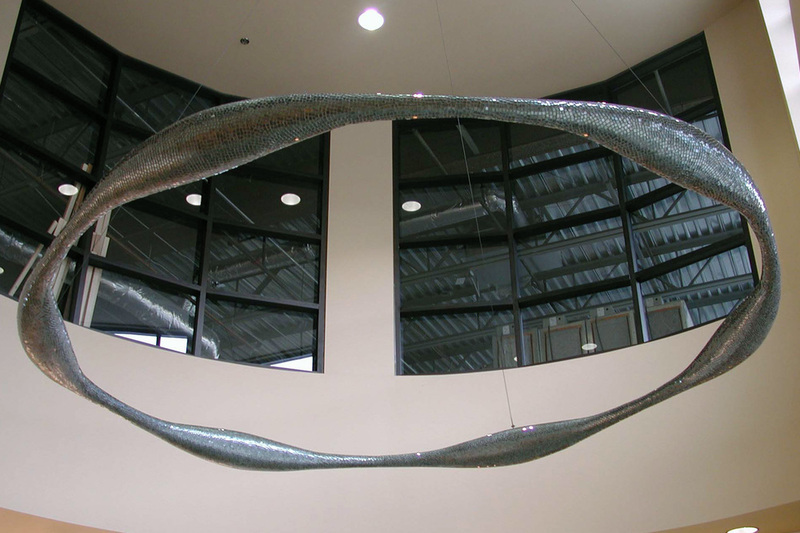 Wave is installed in a round entry in a building close to the ocean. One color of glass is used but the complex curves catch the light and make it look like many different colors. The shape and color of the sculpture reflect the moving water of the nearby ocean.